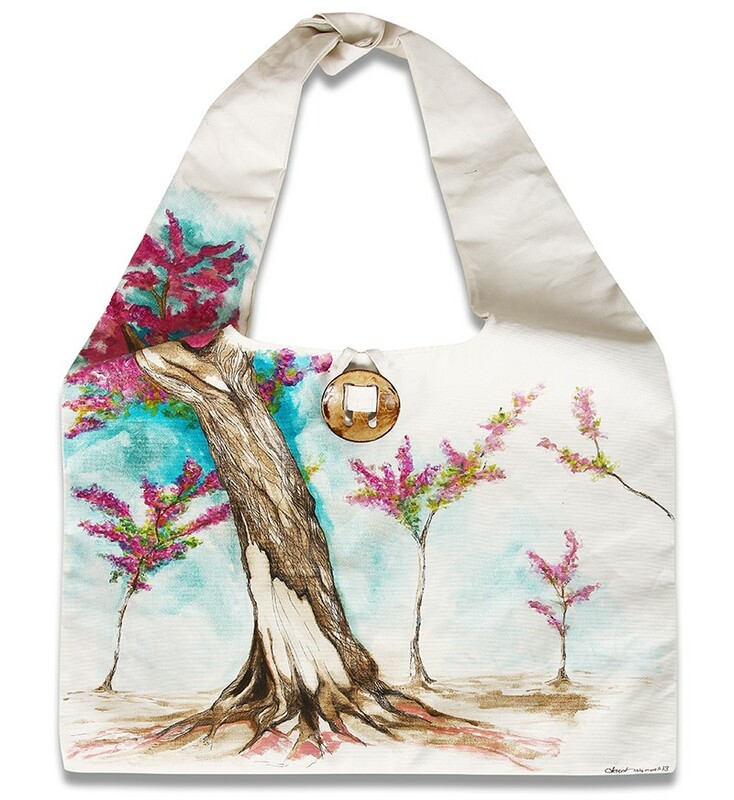 The oil on canvas “Judas Tree” Tote Bag was made by artist Desen Halicinarli, using oil colors / 2013. 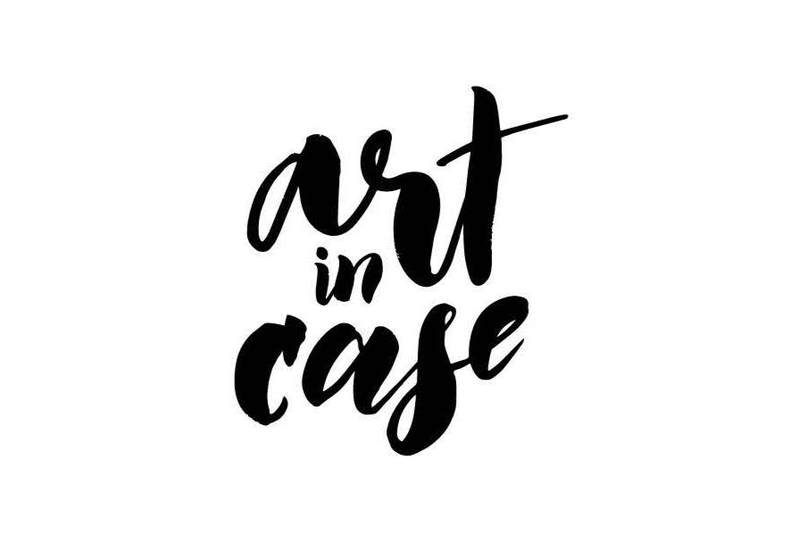 In conformity with the “painting” ritual, the case/wallet was designed by using oil colors and drawing pen, which was varnished at the last stage. 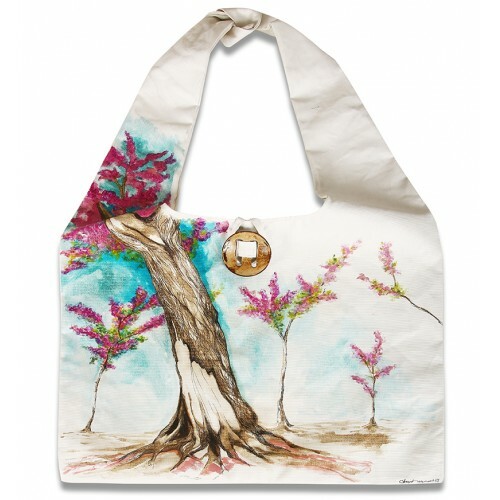 The product was signed by the artist.